When I planned a visit to Puducherry (formerly known as Pondicherry) recently, it was more because I had heard about its quaint white town and artsy French-style cafes. There was also the decision to try my hand at the much-recommended surfing. In essence, the idea was to move away from city life but in retrospect, I just spent the next few days travelling to all the popular Puducherry hangouts. I was aware of the experimental, utopian township of Auroville, founded near Puducherry in 1968 by the ‘Mother’ Mirra Alfassa (associated with Sri Aurobindo) and dedicated to peace and human unity. Before I began my trip, the common recommendation was to visit the Matrimandir in Auroville; this did not happen. I only got as far as the viewing point because of tardiness in booking the visit. Here’s the thing about Puducherry, though, it is impossible to fully absorb its culture without realising that the charming town is a haven for those looking to travel differently. To the transient visitor, Puducherry is a fun place but in reality, it goes beyond a tourist attraction. For those who seek it, the town and its environs harbour an alternative lifestyle – and travel experience – of sorts. When we think of alternate living, the common conception is of people living away from the urbanised world, where the banalities of everyday life don’t hold much water. Sure, that may be a part of it. But after Auroville, I learnt about the kind of alternative living where although the residents decide to live differently, this kind of living is underpinned by a set of beliefs where hard work is imperative. It is not about being a free-spirited individual escaping the problems of the world. Rather, it is to realise the opportunity of addressing these same problems but with a view to providing tangible results. 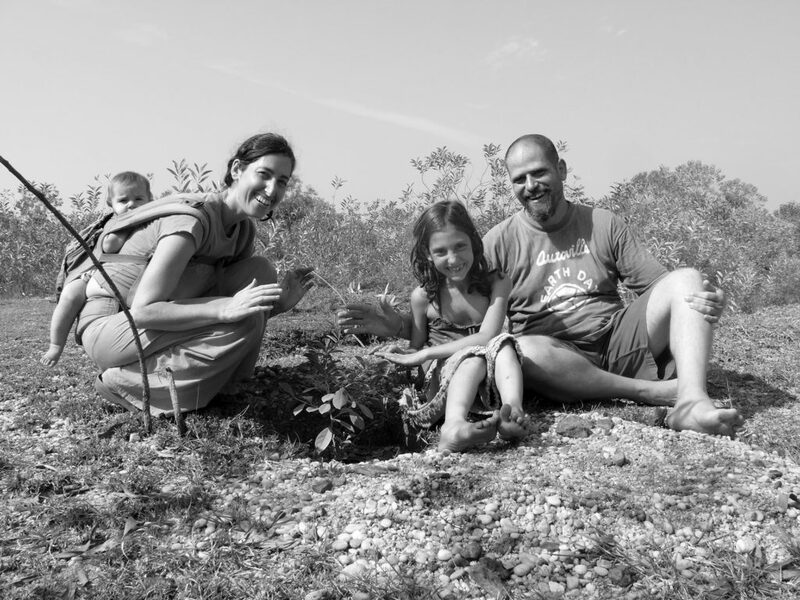 For Pascal Sieger, a musician and former resident of Auroville, the decision to move to Auroville from France was made in 1993 after he read somewhere that “Auroville is the realisation of a utopia”; it also coincided with a year-long sabbatical. Dissatisfied with the gigs he got in France, he decided to explore a way of life beyond the familiar. “During the first years we tried to be involved in many different activities,” he says. These activities included farming, teaching, politics (participation in local administration) and culture, where he would organise weekly concerts with Indian bands and visiting musicians from around the world. Later, Sieger went on to become an integral part of the Adishakti community, a close neighbor of Auroville. 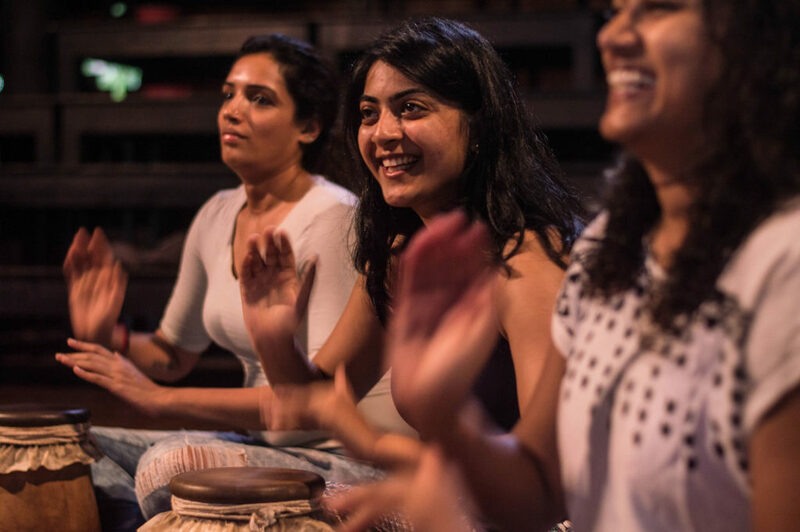 Although Adishakti is not a part of Auroville, it has found its own niche as a place where actors, musicians, writers, poets, and other creative minds have come together to form the Adishakti Theatre group. Speaking with Arvind Rane, a percussionist who has been with the theatre group since its inception in 1981, I learnt about how Adishakti has transformed from a Mumbai-based theatre group to a self-sustaining community in Villupuram dedicated to the arts. Adishakti was founded by the late Veenapani Chawla, and in addition to directing most of their plays, it was the theatre stalwart who spearheaded the project to make Adishakti the community that it is today. After all these conversations, I’ve arrived at the conclusion that I have to go back to Puducherry, but this time it would be to experience a different way of life. 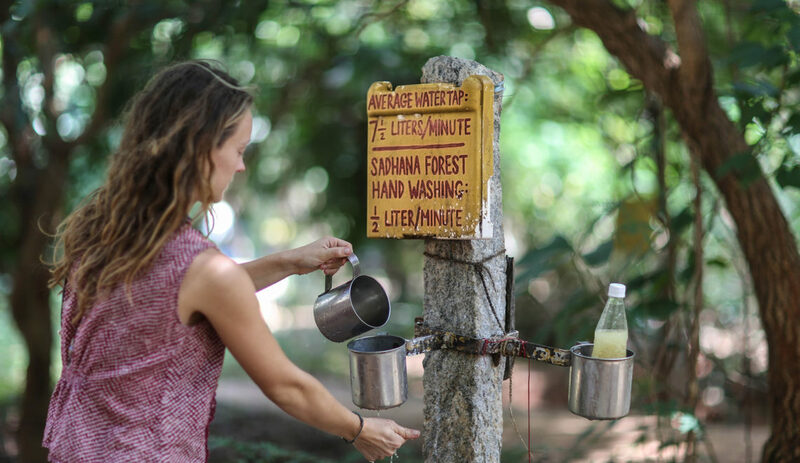 Both, Sadhana Forest and Adishakti are communities that invite people into their world and to participate in it. 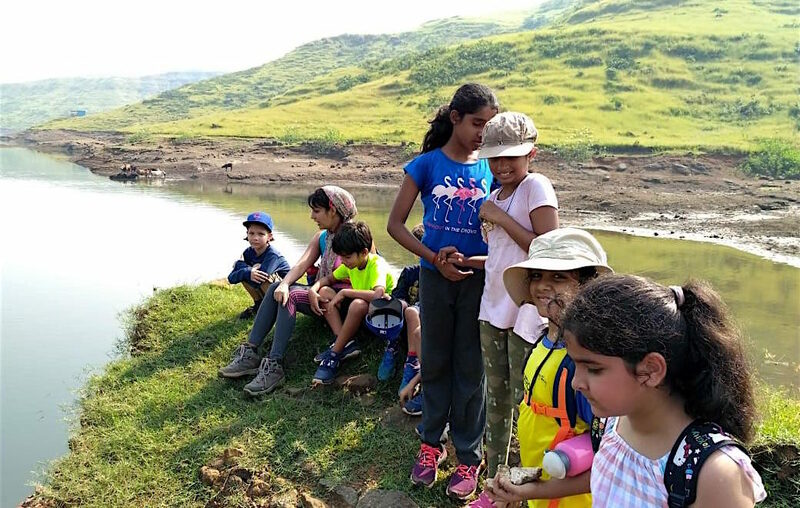 Sadhana Forest hosts a tour through its premises every Friday, where visitors can learn about its work and choose to volunteer if they wish to. If you wish to participate, a minimum of four weeks of volunteering is required from November to March and two weeks in the remaining months. If you’re of Indian nationality, you could volunteer for a shorter time, with 3 days being the minimum period. The accommodation is free, volunteers only have to give back by putting in 25-35 hours of seva or selfless service which includes cooking meals, cleaning up after meals and fixing solar panels. Vegan meals are provided to volunteers at approximately 400 INR or 7 USD a day. Volunteers also contribute towards projects that include working on water conservation, reforestation and engagement with the community. 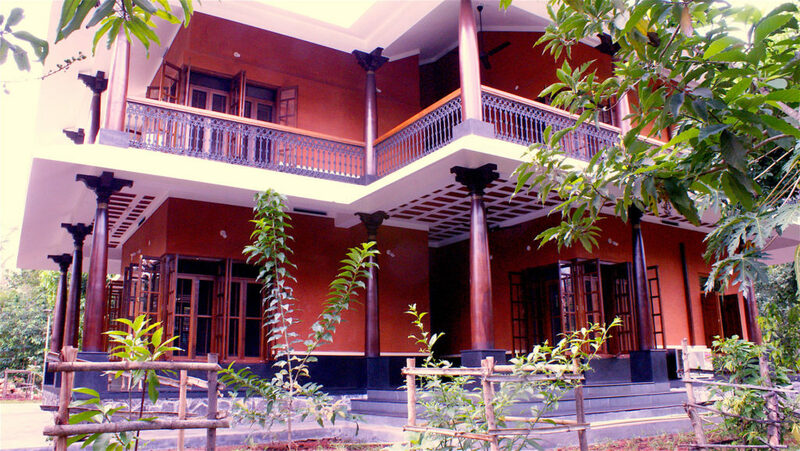 For those interested in a cultural experience, Adishakti opens its doors to guests with its heritage-style, eco-friendly guesthouse. 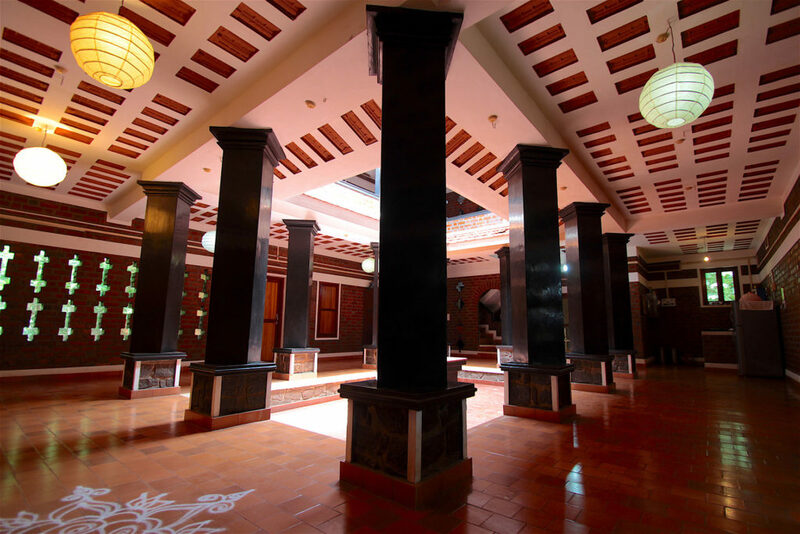 Located on the Adishakti campus, the guesthouse is built in the Laurie Baker style of mud construction with rooms overlooking an open-to-the-sky central courtyard. 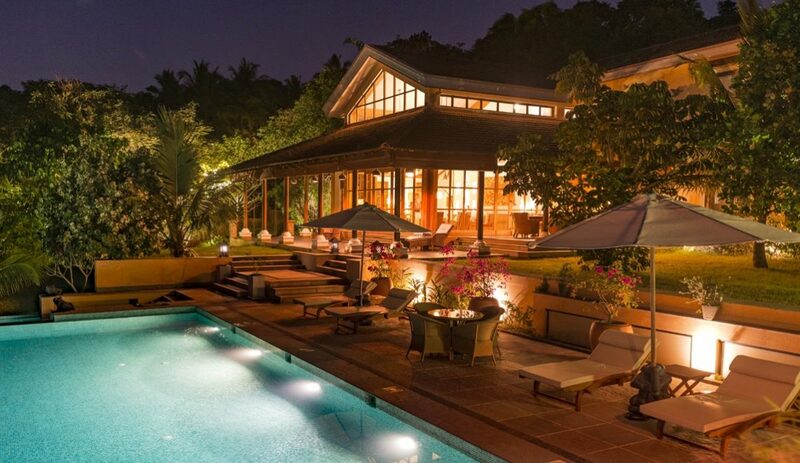 About 3km from Auroville, and 10 km from the main town of Puducherry, it is the ideal getaway for the creative-minded with its combined offering of solitude and a vibrant and friendly atmosphere (there’s wifi for those who don’t want to be completely disconnected). The guesthouse offers access to the entire 3-acre campus, which includes a salt-water swimming pool, fully equipped gym, amphitheatre and library, among other amenities. Meals are organic and made with homegrown produce. Breakfast is included in the room rate, but other meals are prepared at an extra charge. For those interested in acting, workshops are held round the year but there is always a waiting list for these. If you’re lucky, there may be a performance in the amphitheatre that you can watch free of cost. 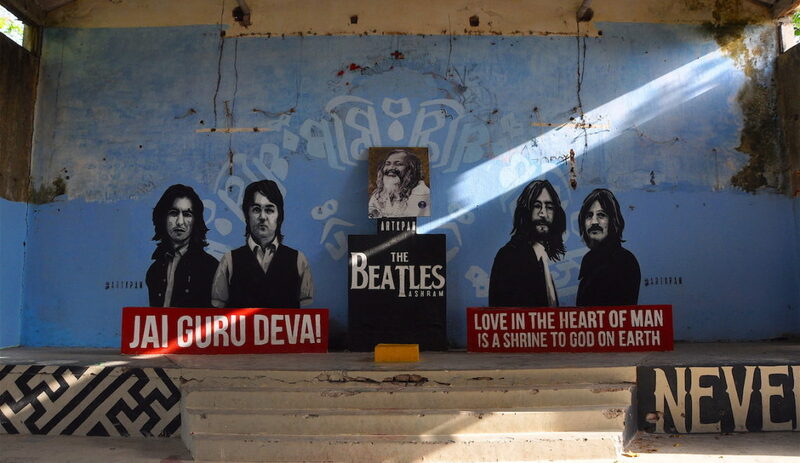 What distinguishes Adishakti from other places is that guests have an interactive experience here. This means that you can partake in the physical exercises developed by Adishakti as well as the extremely demanding but rewarding Kalaripayattu, a martial arts form from Kerala. You can even learn about gardening and participate in the local cultivation by assisting community members. But above all, you will spend your days in the verdant surroundings of Adishakti, a respite from urbanity, even if it’s just for a while. Be it Sadhana Forest or Adishakti, both will be an immersive experience, and will take you down a route less travelled. 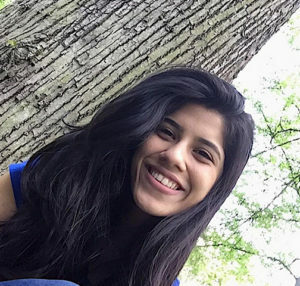 Rhea Bhambhani is currently an intern at Travel Purist. She graduated from the University of Mumbai as a journalism major in 2016 and will combine her interest in global affairs and communications by pursuing a Masters in Public Diplomacy. She loves reading and gaining as much information as possible, and is usually found seated behind her laptop. Thank you for sharing the information. Can be put to good use. Well written. Thank you, Anjali! We’re glad you find it useful.